What we recommend for most CATS. This prescription drug is designed as a once-a-month heartworm preventive and flea preventive for dogs and cats as young as 6 weeks old. It also kills adult fleas and can be used to treat sarcoptic mange, ear mites and ticks. It also helps control roundworms and hookworms in cats. The product is placed on the skin at the back of the neck, but is absorbed into the body to have its effect when female fleas ingest it with a blood meal. 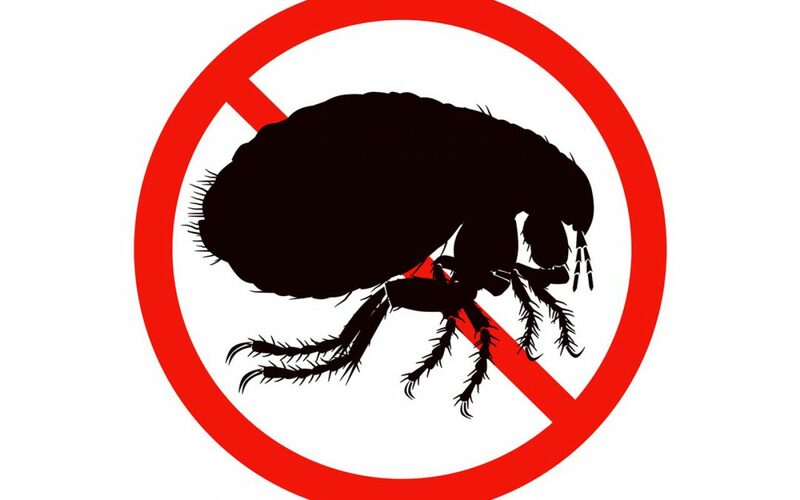 Adult fleas will die slowly, but more importantly, female fleas stop egg production as soon as they are exposed. It is most useful as a preventive for flea infestation and in the presence of a flea problem in an allergic pet, but it is an excellent flea control product for cats. Comfortis contains spinosad and is a monthly chewable tablet for dogs and cats. Spinosad is given once a month to kill fleas. It does not kill other internal or external parasites. The product is best given on a full stomach and is beef-flavored (but made of pork proteins). It belongs to a class of antiparasitics known as spinosyns, which are derived from a naturally-occurring soil microbe. It works by attacking the nervous system of insects, causing rapid death of adult fleas. Comfortis contains beef flavoring made from a pork-based protein. Spinosad begins to kill fleas 30 minutes after administration and demonstrated 100% effectiveness within 4 hours. Trifexis (spinosad and milbemycin oxime ) kills fleas and prevents flea infestations, treats and controls hookworms, whipworms and roundworms, and prevents heartworm disease. Trifexis is for use in dogs and puppies 8 weeks of age or older and 5 pounds of body weight or greater. We recommend this product for flea and tick control in DOGS who swim or are bathed frequently. Nexgard is a soft chew and can be used in dogs and puppies 8 weeks old and older. It contains the active ingredient, afoxalaner, from a novel isoxazoline family. It kills 100 % of fleas in 24 hours and is very effective against ticks. This chew is made of soy protein. We recommend this for flea and tick control in DOGS AND CATS. Fipronil is a broad spectrum insecticide available as a spray or a drip-on. Fipronil binds chemically to the hair and is absorbed through the hair follicle by the sebaceous glands. In spray formulation fipronil may kill fleas at 95% for up to 30 days after application on dogs and stands up to biweekly bathing. It is labeled for puppies and kittens of 8 weeks (10 weeks for Top Spot®). It is also affective against ticks. The major problem with the spray is the high volume of alcohol based product that must be applied. Many cats will show minor adverse reactions with this application technique. The product is labeled to be applied no more than once a month. Frontline Plus® contains the insect growth regulator, S-methoprene and so provides control of eggs and adult fleas. We recommend this for flea and tick control in DOGS. Simparica® acts fast killing fleas within three hours and ticks within eight hours, and keeps going strong for thirty five days without losing effectiveness at the end of the month. Studies show Simparica® starts killing ticks in 8 hours and is ≥96.9% effective for 35 days against weekly re-infestations of Amblyomma americanum, Amblyomma maculatum, Dermacentor variabilis, and Rhipicephalus sanguineus. Important Safety Imformation: Simparica® is for use only in dogs, 6 months of age and older. Simparica® may cause abnormal neurologic signs such as tremors, decreased conscious proprioception, ataxia, decreased or absent menace, and/or seizures. Simparica® has not been evaluated in dogs that are pregnant, breeding or lactating. Simparica® has been safely used in dogs treated with commonly prescribed vaccines, parasiticides and other medications. The most frequently reported adverse reactions were vomiting and diarrhea. One tasty chew kills fleas and ticks and prevents flea infestations for up to twelve weeks. This is three times longer than monthly treatments. Also providing up to twelve weeks protection, Bravecto® kills four common ticks. Tick species include: Black-legged tick (deer tick), American dog tick, Brown dog Tick, and the Lone star tick.